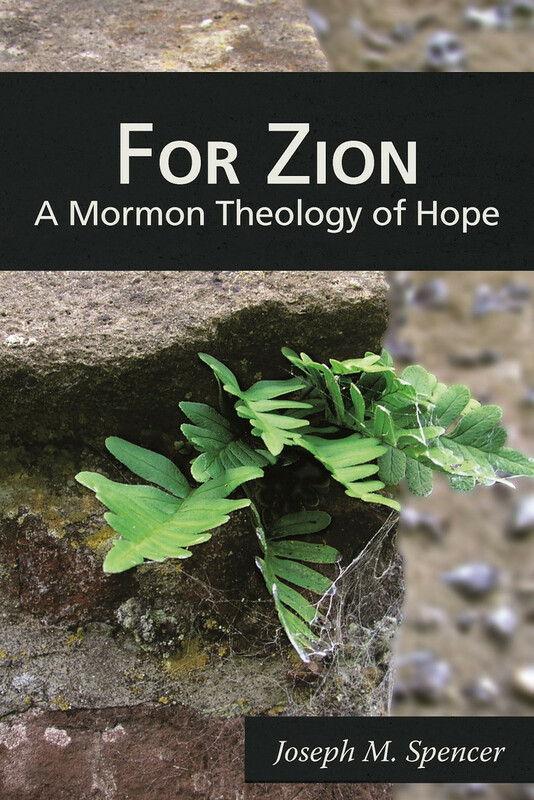 The first chapter of For Zion lays the groundwork for Spencer’s reading of Paul’s theology of hope. It focuses especially on Paul’s letter to the Romans. Understanding the details of this “theology of hope” is crucial to understanding Spencer’s full account of what’s at stake in the law of consecration. For Spencer, the context of Paul’s letter is important. He argues—as Paul himself indicates—that Romans should be read against the backdrop of Paul’s planned trip to Jerusalem. For Paul, this trip metonymically enacts that long prophesied day when the Gentile nations would finally recognize God, gather an offering, and go up to Jerusalem. Paul, traveling on their behalf, bears an offering consecrated for the aid of the destitute Jesus-believers living there. Romans is framed by an act of consecration. As a result, Paul’s trip to Jerusalem on behalf of his Gentile converts is, in many ways, hope embodied. It’s the law of consecration enacted. It’s Zion in miniature. This sets the stage. However, before Spencer can start on his sharp and nuanced explication of Paul’s theology of hope, he needs to devote this first chapter to a description of the problem. He needs to clarify Paul’s account of the problem that Christian hope and consecration are meant to address. For Paul, to understand sin we have to understand two things. We have to see: (1) that sin is fundamentally a suppression of God’s already given grace, and (2) that sin accomplishes this suppression by hijacking and repurposing God’s gifts (i.e., sin hijacks both the created world and God’s law). With an eye to their philosophical implications, here’s how Spencer renders some of the key passages in Romans 1:17-21. Sin is this act of suppression. It’s this rejection of the world God has already given. In particular, sin is a suppression or obfuscation of the world’s “givenness” or “createdness.” This givenness or createdness is the mark of God’s grace. Regardless of merit, all these created things are given as gifts and they are given to everyone. God causes the sun to rise on the good and the bad. He causes the rain to fall on the just and the unjust. God just gives. More, the created world’s givenness (or giftedness) is a persistent sign of God’s own nearness. It’s a sign that persists even when God seems absent. As a result, when humans reject and suppress the gift-like character of the created world, they are, by extension, rejecting and suppressing God himself. So, as Spencer says, “it is God’s very nature that human beings suppress in their unrighteousness, obscuring his grace and his nearness by regarding him only as a distant and wrathful deity” (10). With the world’s grace (and, thus, God’s nearness) suppressed, God starts to seem very far away. Everything about him starts to seem distant, angry, wrathful, paranormal, and fundamentally supernatural. Grace seems scarce and superstition sprouts. People start to think that if God is fundamentally otherworldly and supernatural, then religion must itself be about this same otherworldly and supernatural stuff. Religion gets turned into the business of long-distance communication. Religion, instead of abolishing this distance, enshrines it. Religion itself gets co-opted by sin. Thanks to our rejection of God’s already revealed (and already obvious) grace, Spencer says, “the truth is displaced into a beyond” (11). Sin doesn’t move God to withdraw. Sin is the hard work of pretending that God can be shoved off-world. Sin is make-believing that God and his grace belong to outer space or some distant point in the past or the future. As sinners, we need God to seem far away. His nearness is terrifying. A little distance gives our lusts room. It lets our hunger for acquisition bloom. God’s purported “absence” gives us cover to claim as our own—that is, as property—what had been gifts. With God out of the picture and his grace denied, sin has free reign. Now sin can put God’s world to a different use. Rather than being an expression of shared grace meant for joint consecration, it becomes possible to trade on the world’s glory in pursuit of our own satisfactions. We can “economize God’s glory” as a proprietary commodity. We can license and trademark creation. We can speculate and stockpile. We can create demand. This reciprocity is clearly displayed in the way that sin hijacks God’s law. From the beginning God gave the law as a gift, as a grace. And from the beginning the law could only be fulfilled by way of grace. The whole law points to Jesus. The law—both in fact and in principle—cannot be fulfilled by keeping the law. Only grace can fulfill the law. But with God’s grace suppressed by sin, the law’s own graciousness is obscured. Commandeered by sin, the law shows up as a system of economic exchange, of quid pro quo with the divine. The law shows up as proprietary, as a way of earning certain kinds of spiritual profit and surplus capital. The law becomes a pyramid scheme for securing and storing up privilege’s both on earth and in heaven. In short—and in one of the world’s most bitter ironies—the law gets repurposed as a way of measuring what we can manage without God, as a measure of what we can do all on our own! Religion and the law become about showing what I can do without any help from that so-distant God! And, more darkly, Spencer points out, the law comes to play a fundamental role in propping up our fantasies. What good is a fantasy that doesn’t involve the excitement of transgression, of surpassing a limit? And what transgression is possible without a law to forbid it? This is the deep truth about sin: sin needs God’s law. Sin hijacks and internalizes God’s law. God’s law is essential to the economy of sin, to the inflation of lust, to proving your superiority over other people, and to the dream that the next forbidden idol will finally satisfy you. Sin would be lost and impossible without the law. Sin lusts for the law. And so God’s glory gets economized. And so grace gets obscured. And so we feel dead to ourselves. And we feel dead to the world around us. Cut off from life and creation. And we’re left to ask: whatever happened to Zion? We can “economize God’s glory” as a proprietary commodity. We can license and trademark creation. We can speculate and stockpile. We can create demand. ‘Sounds like the murderous psychopath who wants to be caught. But, really, for some of us the Law is like an irritating flashing neon light that comes on only when we’re not living beyond it. Nice, summary and discussion, Adam. And thanks — I very much look forward to this series, as the themes are near and dear to my heart, of course. Russell #1, I’ll be very curious to hear more from you (I still owe you a better response to your very interesting comments in response to Joe’s book a coupla weeks ago). My own sense/guess is that the critique you are hinting at, that I think applies to both Joe and Adam, is that they are keeping discussion of politics and economics at a fairly abstract level, without engaging the nitty gritty details of particular institutions and/or practices. I think this has the virtue of making their writing less politically polarizing but I think this also makes it a bit more difficult to offer the kind of concrete critique that I suspect you are kind of looking or hoping for. Perhaps you are thinking in a different vein, but my own hunch is that Joe (and Adam’s comments here, and elsewhere) are plowing a path that will make it easier — but also, if not more, urgent — to follow-up on with more detailed and more constructive critiques that flesh out the different concrete Zion-building possibilities in our modern context of capitalist organizations and practices. But the first step is to recognize the . . . let’s call it “ideologly” for what it is…. God gives me gifts, a body with tangible needs, a material world that can sustain my body. To live, I must pick, dig, catch–or die. I labor, sweat, barely survive, probably die. God gives me others. I pick, she digs, he catches. I now know berries, she potatoes, he rabbits. I trade for potatoes, rabbits. Get exceeds give. I know berries. I’m drowning in berries. God gives still others. Markets meet, greet me: carpenters, milliners, bakers, engineers, lawyers, economists, philosophers. All love berries. I love their love—not piles of rotting berries. I’m good at berries. I have too many berries. I trade for bread, clothing, house, car, education, contracts, books. I live comfortably and long. I become like God, a giver of good gifts. Others love berries. I read economics. I understand producer and consumer surplus. Every purchase, every sale is a gift. Both buyer and seller receive more than they give. Both are godlike in their service, both enhance the life of the other. God’s relationship with me—I always get more than I give—is manifest in my relationship with others as we voluntarily trust and trade. God is with us, in us, as we mutually serve and mutually benefit. Gifts, surplus, given both to the greatest and to the least of these, my neighbors, are given unto God. Like Joseph, speculators wisely stockpile in the fat years and sell in the lean, sometimes saving lives, always, when successful, smoothing prices and raising the use value of what they saved, always, when unsuccessful being themselves the main victim of their error. Specialization, productivity increase. Real prices fall for all. Markets globalize. Millions who pickeddugcaughtdied in China, India, Africa now give and receive surplus, live longer and prosper. Liberty and voluntary exchange do God’s work, are God’s gift, make us more like God. But sin creeps in. Abstraction is sin. Abstraction hides what is given, gifts given to all who will receive them–the givenness of surplus, full bellies, comfortable houses, education, medicine, enriching leisure. Abstraction puts God at a distance. God is Gini Coeeficient = 0, is Utopia, is nowhere. It is God’s very nature—his existence in my well-fed neighbor, the well sheltered African child–that human Abstraction, that philosophical Abstrators suppress in their unrighteousness, obscuring his grace and his nearness by regarding him only as a distant and utopian, abstract, disembodied, fleshless, bloodless deity. Yes! Though, of course, abstraction is also one of the graces that God has given. Great start to the book. It is all about who do we accept as the Creator and Provider? Our world, whether run by capitalists, communists, socialists or any other “ists” attempt to take God’s power and replace it with their own version of creation and providing. We have some great scriptural guidance on the how and what of Zion, but most LDS do not understand it, or struggle with it. That sin removes us from God’s presence, which is an always present gift, is a concept that all need to consider. And the fact that we cannot work out our own salvation, because the gift of salvation is already provided for, must rake many Mormons, who are convinced they must work out their own salvation with fear and trembling. I believe it would take a huge disaster, such as happened with the Nephites before they were ready to live the law of consecration and build their Zion, for American Mormons to awaken to their great sin of worshiping their gods of gold and privilege. Brigham Young said his greatest fear for the Saints would be for them to get rich. Well, it has happened, and now what will Mormons do when they are told they must give up their riches or their government subsidies, in order to dwell in Zion? Adam (or Joe), I don’t entirely understand the conceptual transition between the collusion of lust and law and the economic order of idolatry. Is it a kind of analogy, or is it a cause-and-effect mechanism, or just two bad things that are both happening among the Gentiles? I broke down and bought the book and read through here. I agree that the transition to idols is a bit underdeveloped. I get where Joeseph is going but there’s a double move there. First the literal use of idols in Corinth, then the explanation for why they were using idols, and finally the broader application of the underlying cause leading to idol as a broad category. That’s all done in a few sentences. There are a few other comments I’ll make later this week in a separate blog post. The general approach is very similar to Nibley’s old Mantic/Sophist distinction. However I think there’s a danger that it falls prey to the same failings of Nibley. It’s fine to focus on production in this originary sense. (Here grace broadly speaking) However I’m not at all convinced it’s bad to then have economics (in the general sense of tradeoffs and trade) with the produced without always focusing in on the originary. It reminds me of the discussion within Heideggarian studies of authentic vs. inauthentic modes of being and emphasizing this isn’t an ethical relationship. I think the same applies here. Certainly we can focus on the grace however doing economics is not necessarily repressing God’s grace. Indeed the logic Joseph (and you Adam in your own writings) demands that exercising economics is itself a manifestation of God’s grace. But if that’s true then the critique against economics seems to fall apart unless there’s more to it. Adam’s asked me to jump in with at least a comment here…. In response to critics of what I have to say about economics – For what it’s worth, I didn’t mean when I wrote the book (and I still don’t mean now) to make Chapter 1 a careful critique of market economies. Anything I have to say concretely on that subject comes in the second half of the book, as well as in the last chapter on hope where I begin to mark my transition toward the second half. All I meant (and mean) to draw out in Chapter 1 is a certain connection Paul makes between idolatry and a certain (sort of) “economizing” gesture. I understand by “economizing” here just this: inserting something into a system of circulation that pretends to some kind of closure. I in no way mean to close the door on trade. Rosalynde – Yours is a particularly good question. Paul seems to indicate a certain causal relationship, but it’s complex. He says at least this: that involvement in the economic order of idolatry directly leads to God’s giving idolaters up to their law-driven lust. There’s some sort of causality there, but it’s not between the two elements you isolate; rather, it’s between one of them and God’s action in connection with the other. I suppose my thinking was (and is) that because God’s caused response to the one (the economic order of idolatry) takes the shape of his giving people over to the other (the collusion of lust and law), there’s reason to think that there’s a deep connection between the two—that the collusion of lust and law is somehow at the bottom of the economic order of idolatry. From there, it’s not hard to drum up some motivating points of connection (so much of idolatry is bound up with lust, for instance!). I’ll eagerly await getting to that portion. Enjoying it a lot so far. Hopefully more comment on the second part later this week.